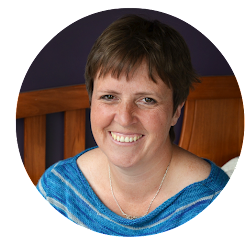 My name is Juliet, I write a quilting and crafting blog and I have NEVER made bunting! 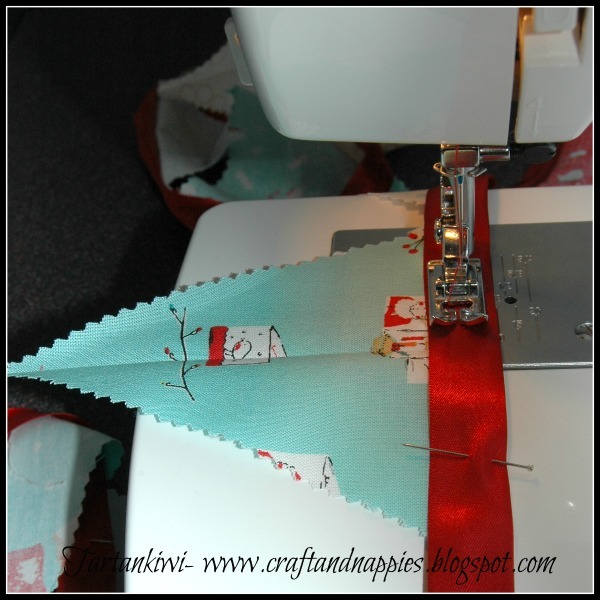 Today I decided that it was time to remedy the bunting situation, so I got out the remainder of my Cherry Christmas Charm Pack and my pinking shears and started to cut. I'm going for the most basic kind of bunting. 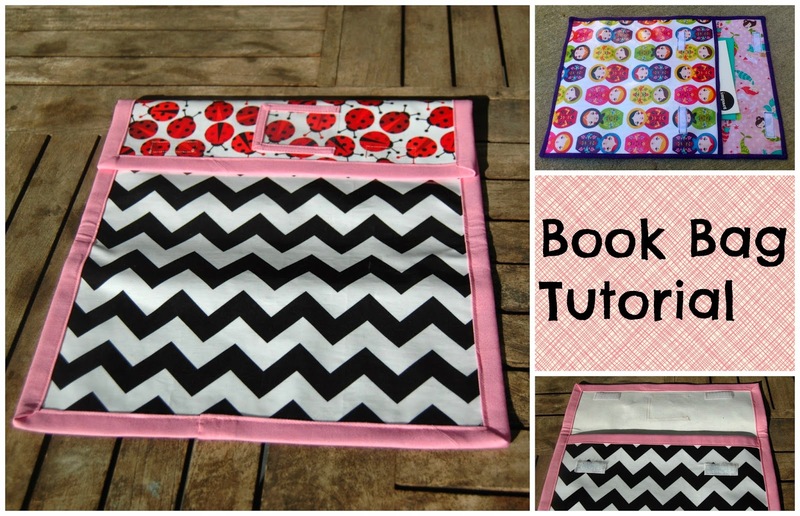 Single layer of fabric, and folded over ribbon along the top. I must admit that I was expecting Mr Tartankiwi to wrinkle his nose and look unimpressed when I showed him the bunting, but he was surprisingly enthusiastic about the whole thing and even encouraged me to make some more! Now to decide what other fabrics to use in my continued bunting making adventures. I'm thinking that this could become my new obsession! I'm seeing the bunting possibilities everywhere (inside and outside the house!) and I am looking forward to seeing the excitement on Rascal's face when it all goes up. 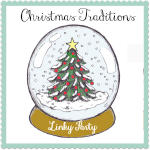 I'm linking up with Stella's Christmas Traditions linky over at the Golden Adventures of a Very Dark Horse. I have never done any bunting either! Will look so pretty! Lovely! 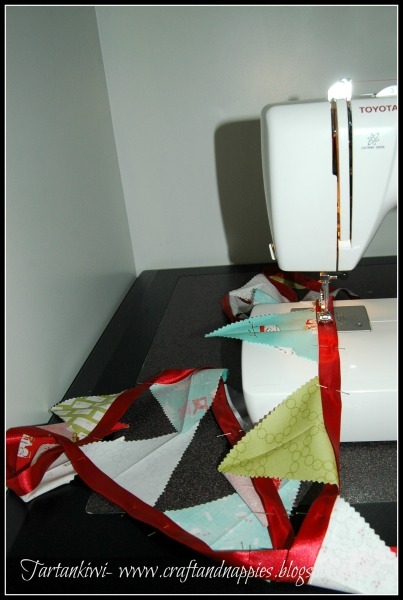 I must admit that I've never made bunting either .... it's been on my to do list for a while but it's another one of those things that I just haven't gotten round to yet. I made birthday buntings for my kidlets. Of course I've managed to misplace one. Might need to re-do. Love your Christmas one - so cheerful! haha! it wasn't that hard was it :) actually you might find it addictive. I love to hang a bunting out for the summer across our deck. It just feels so summery hanging there. I made some a few years ago for school and now it's all trendy! There will be no stopping you now. Bunting for all occasions! Haha, I'm yet to make any too!! I am a bunting virgin also. It looks fab and it's going to knock the little rascals socks off!